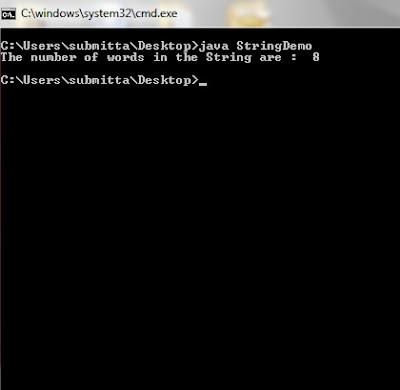 To find the number of words in the given String in java is easy . Here we are using arrays and string class to achieve our goal . Original String : "Alive is awesome "
Output : 3 as the answer. 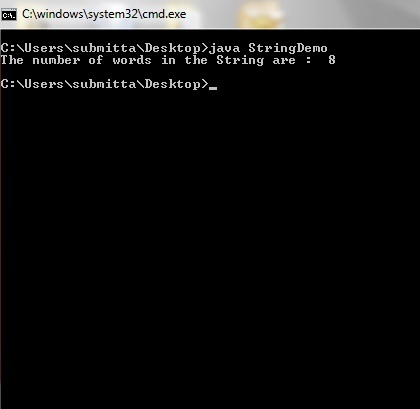 Here we are passing String to the wordcount() function which return the int value that is the number of words in the string .